It was 54 degrees when I pulled up to Empire Wingz on a Thursday afternoon for lunch. Despite the chilly weather, there was a line of loyal customers bundled up, ready for their afternoon fix of chicken wings. All it took was a bite of the restaurant’s lemon pepper chicken for me to understand why Empire Wingz has such a following. 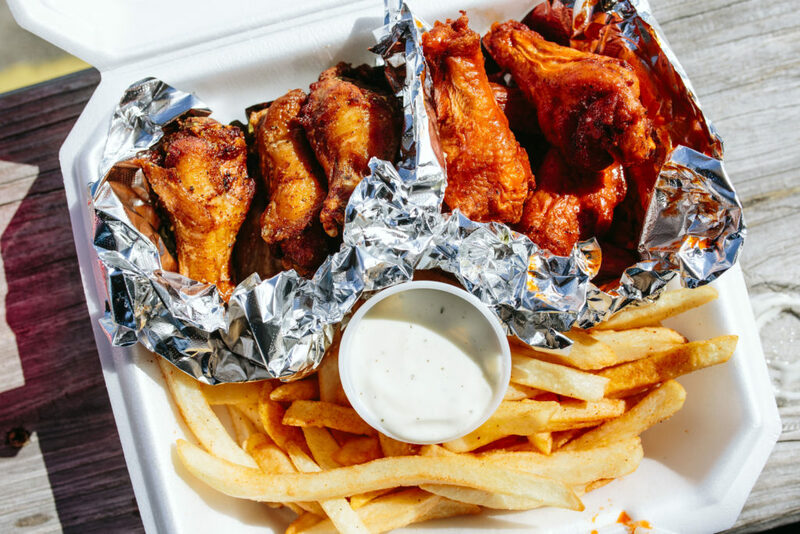 The local wing shop opened its second location in November at the former Wing Snack shop on Burbank Drive. It has walk-up windows where customers can quickly place and pick up their orders. 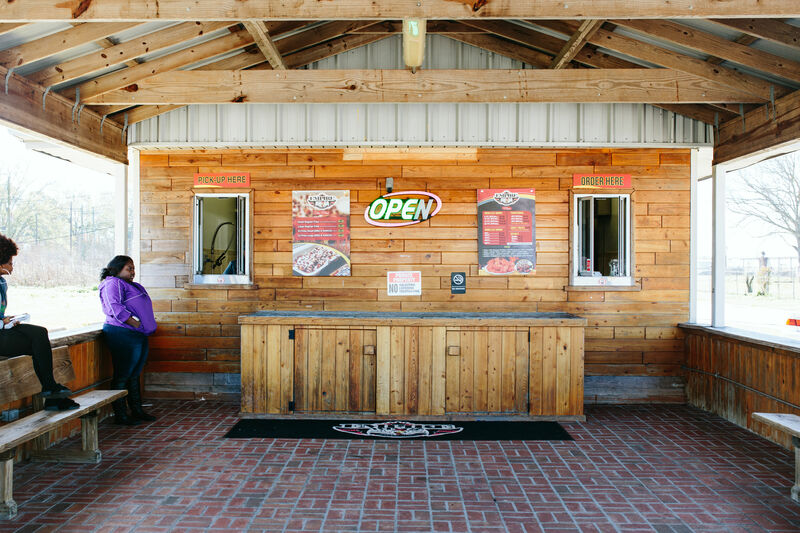 Outside the shop, couples, families and lunchgoers on their work breaks sit patiently waiting on the shop’s wooden benches for their hot, fresh wings. The menu includes boxes of boneless and traditional wings. Flavors include buffalo, lemon pepper, spicy lemon pepper, honey barbecue, spicy barbecue, spicy honey barbecue, garlic Parmesan, spicy garlic Parmesan, dry ranch and plain. For sides, the restaurant offers regular fries and “VJ fries”—regular fries topped with barbecue sauce and ranch. I went with my gut and ordered my favorite wing flavors: buffalo and lemon pepper. I selected the eight-piece box with regular fries, ranch sauce and a Coke on the side. After the staff called my order number, I opened my styrofoam to-go box to find the steaming wings wrapped in foil. The delicious scent overpowered my car as I soon as I sat down. I couldn’t wait—I had to take my first bite. The lemon pepper wings were seasoned to perfection. The crispy wings were equally zesty and tangy. Each bite got better and better. Before I devoured the lemon pepper wings completely, I tried the buffalo wings. Referred to as the “OG” wings, these were moist and messy in the best way possible. The meat practically slid off the bone—so tender, they melted in my mouth. They weren’t overly spicy and paired well with the creamy ranch sauce. While I didn’t make it home with a full plate of food, I did arrive with a full stomach. I’ll be returning to Empire Wingz to satisfy my newfound wing cravings. But next time? I’ll order all of the lemon pepper wings I can get. Empire Wingz is located at 9402 Burbank Drive.